Routinely conducting environmental scans to learn about major trends that may impact their lives and create opportunity for us to respond to their needs and aspirations. 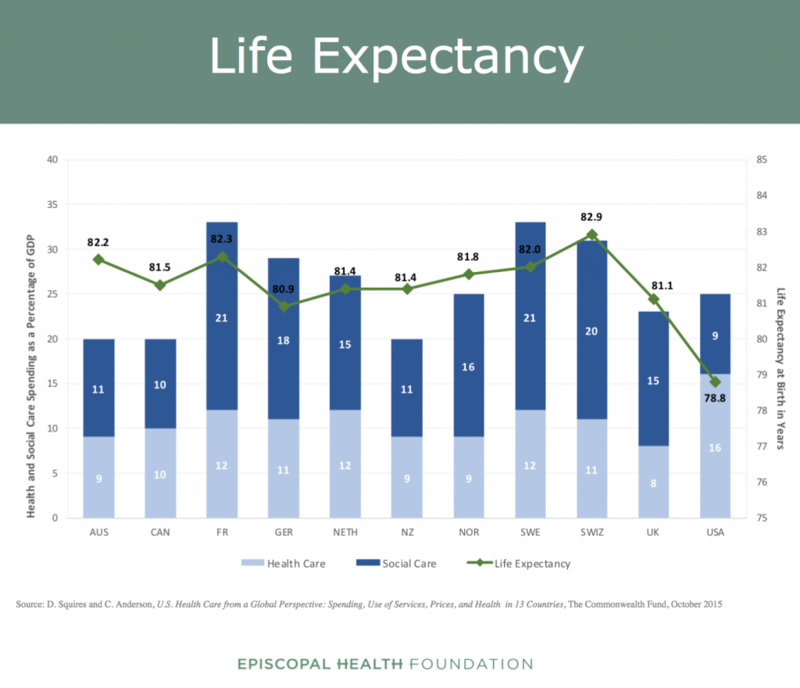 One of the most relevant and critical trends right now is related to health care. The United States is spending trillions of dollars on health care, nearly 20% of the GDP. That’s more than most other developed countries. The high cost of health care is unsustainable. Experts are focusing on how we can reduce these costs. Many of the strategies for reducing costs are related to how we pay for health care. Other strategies are about investing more on “prevention” instead of the current focus which is almost exclusively on “sick care”. In order to evaluate what strategies work best, we first need to examine what health and wellness really mean. Clearly, going to the doctor, taking your medications, etc – “Clinical Care” – is important to maintaining good health. However, Clinical Care only accounts for about 20% of what allows someone to be healthy. 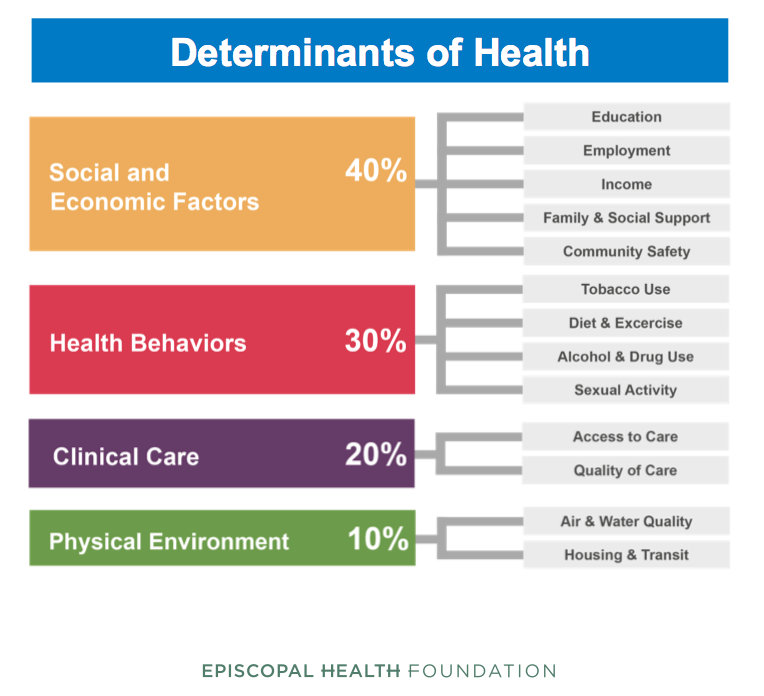 The other factors – Social Determinants of Health – that impact how healthy someone is include things like education, employment, housing, air quality, water quality, and personal behaviors like smoking, diet and exercise, and alcohol use. Unfortunately, the vast majority of our health care dollars go to Clinical Care, and very little is spent on these other Social Determinants. 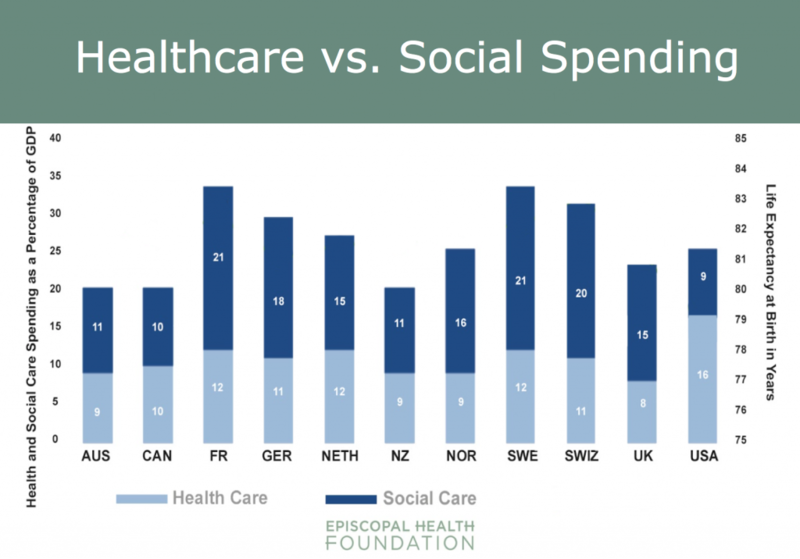 Compared to other developed countries, the United States spends dramatically more on “medical care” than on “social care”. 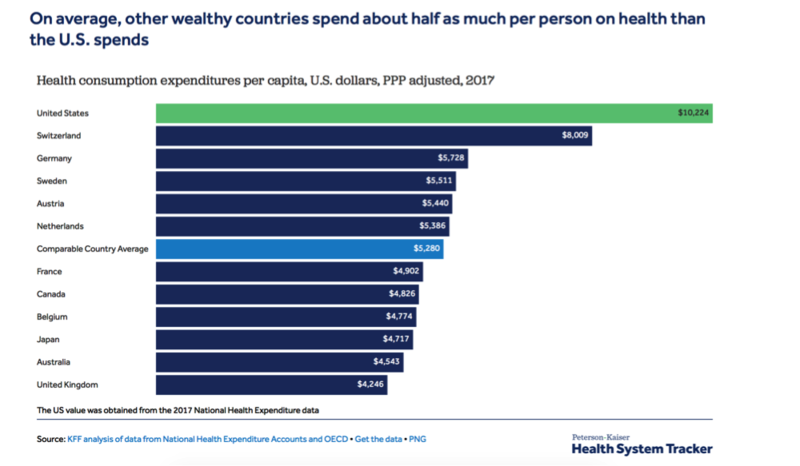 Despite the amount we are spending on healthcare, the United States has the worst health outcomes among developed countries. With the increased recognition of the importance of the Social Determinants of Health, we examined the various programs and services BakerRipley currently provides and discovered that we cover every area in the SDH space. 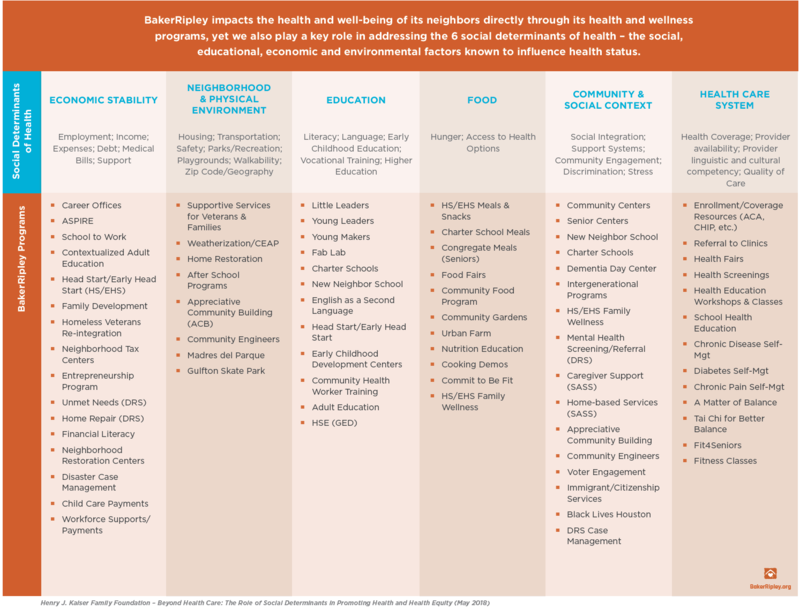 BakerRipley’s list of programs organized by each of the Six Determinants of Health. This creates opportunity for us to look at different ways of working to address the health and wellness concerns of our neighbors. As we look ahead, we will continue to scan the region and adjust to the needs of the people we serve. Prevention is huge!! I truly believe that if you don’t give in to your age (number) you can do almost anything that you did when you were younger. Do not stop exercising. Do stop drinking soda and too much sugar. Do not be a fanatic, but make your health a priority. It is selfish to not take care of yourself. I am so proud of Jane. She is making a difference. Amazing!!! Genetic determinants of health are at least as important as the social ones. Unfortunately (or not), there appears to be no current way to pick one’s parents or ancestry. But if economic class was not considered to be an inherent privilege, the obstacles to public health would melt away. Good luck, Jane, in moving the needle. I know you will approach this challenge with the same panache as you have in the past. Prevention and wellness programs that are accessible and available in our workplaces and in our communities are critical to moving the health needle. 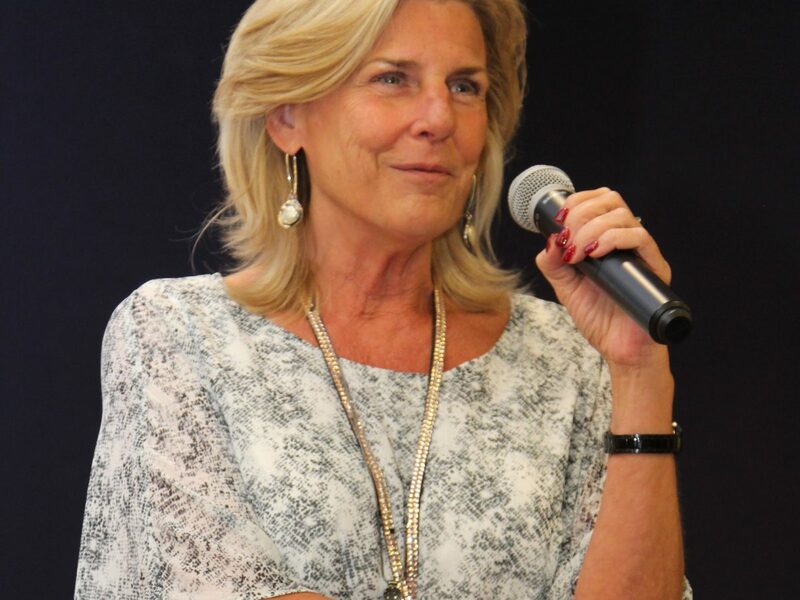 Thank you for your leadership, Jane! I precisely wanted to say thanks all over again. I am not sure what I would have achieved without these tricks shared by you about my problem. It was a very daunting setting for me personally, however , taking a look at a new professional technique you treated that took me to leap over contentment. Extremely happier for this guidance and then trust you realize what an amazing job you happen to be accomplishing educating the rest by way of your websites. Probably you’ve never encountered all of us.